Kevin Earnest is an insanely talented musician based in Los Angeles. When the opportunity arose to photograph his wedding to the beautiful Katie, I jumped at the chance. 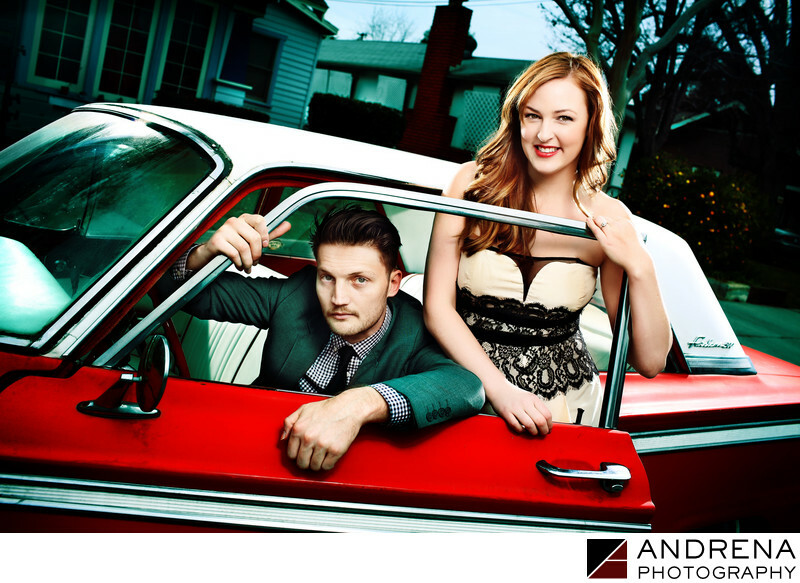 For their save-the-date, Kevin and Katie wanted to do a portrait with Kevin's vintage Fairlane. Some creative Photoshop helped add teal to an otherwise drab gray background. The use of teal blue behind the car's red paint job helped create a more beautiful palette for their save-the-date image. Photographed in Orange County, on a random street near Kevin's parents' house.